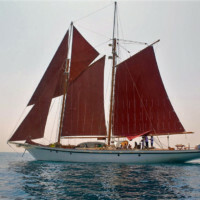 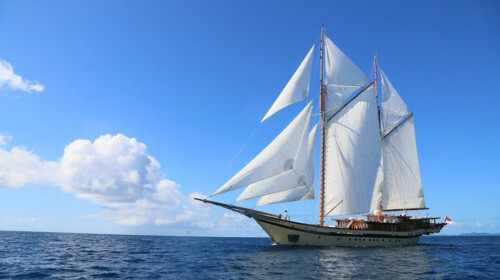 The 30m classic schooner Dallinghoo is available for an extended sailing yacht charter in Phuket and Southeast Asia. 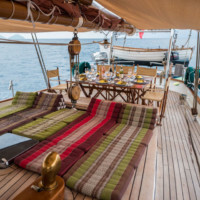 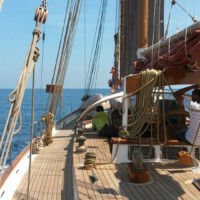 Get an ultimate feeling of a sailing adventure on board the full-keel topsail gaff-rigged yacht Dallinghoo. 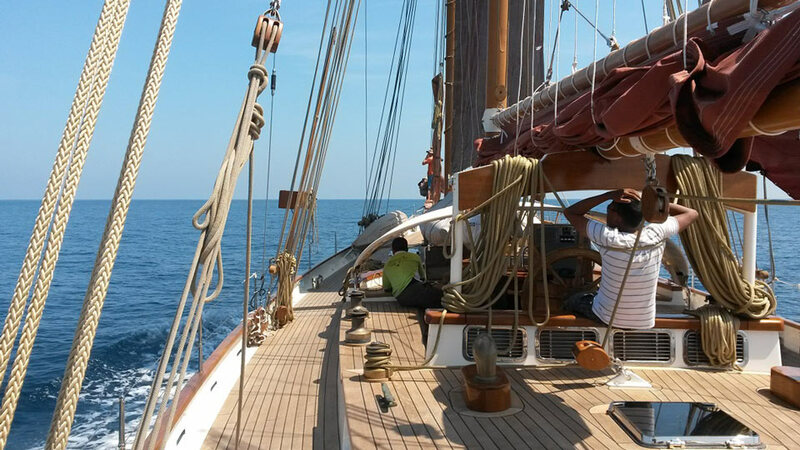 Step back in time, feel the romantics of a tall ship with all the comforts of a modern yacht. 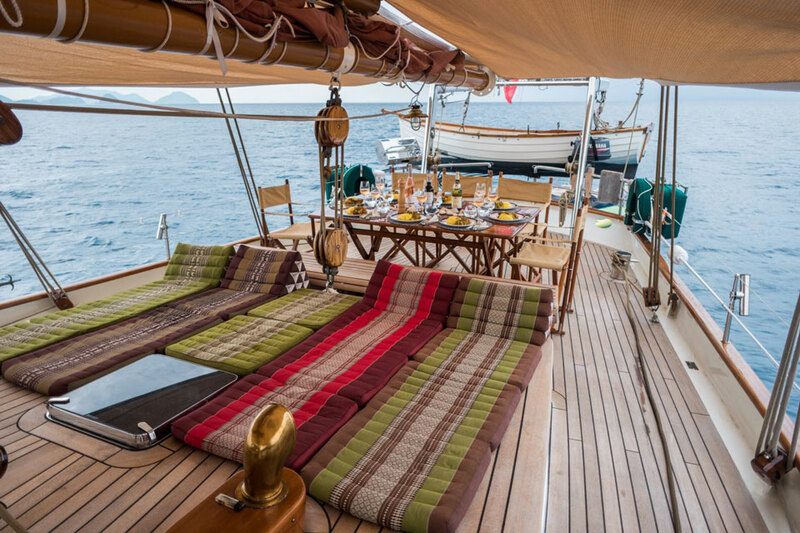 Originally built in South Africa in 1990 she underwent a major 2-year refit which was finally finished in 2016. 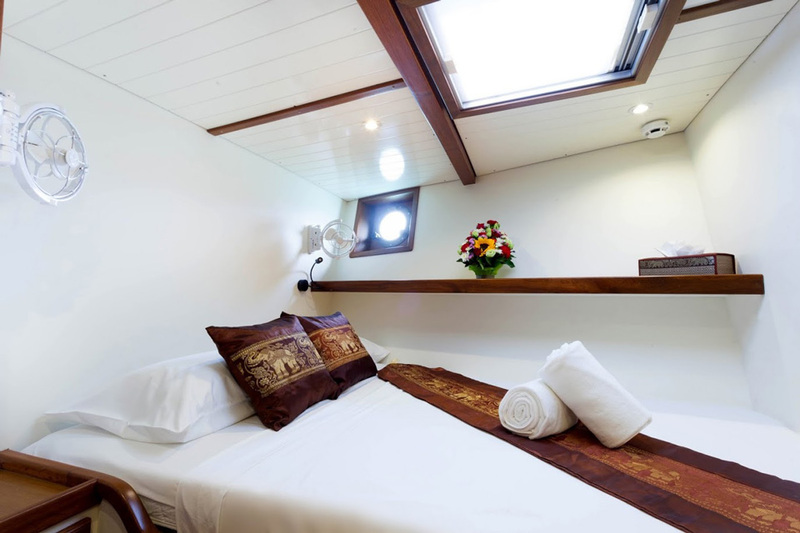 Her interior now is light and bright, with touches of timeless varnished Burmese teak. 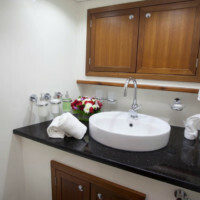 The salon area with a large table and a U-shaped sofa, as well as all the guest cabins, are fully air-conditioned. 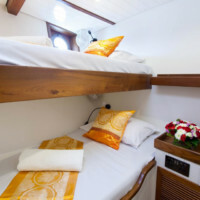 Those who prefer to sleep with a natural air flow in the room will appreciate the quiet-running wall fans next to all bunks and large hatches with fly screens. 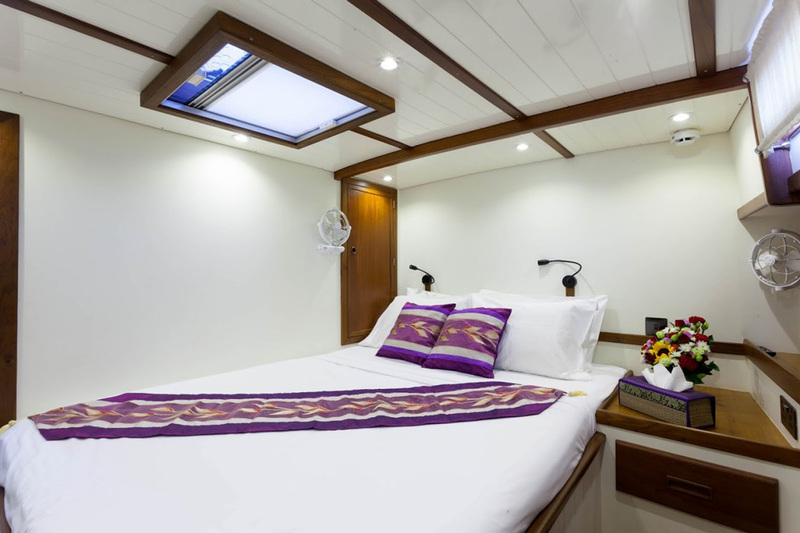 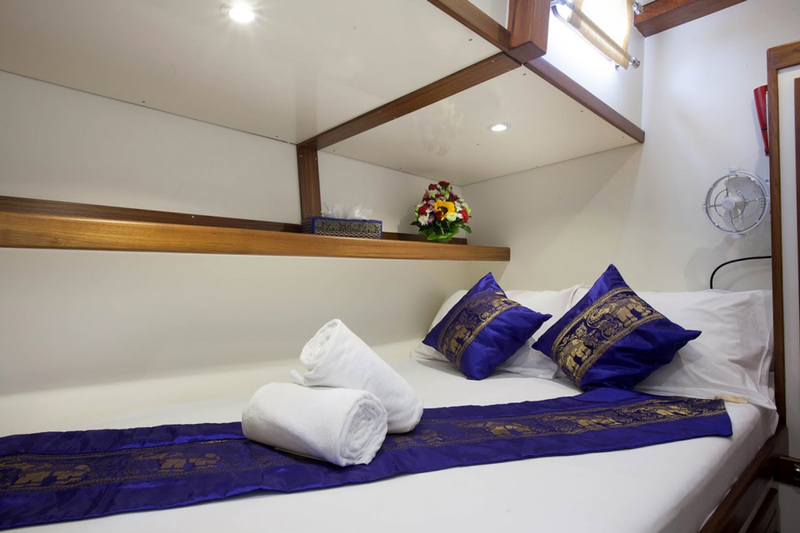 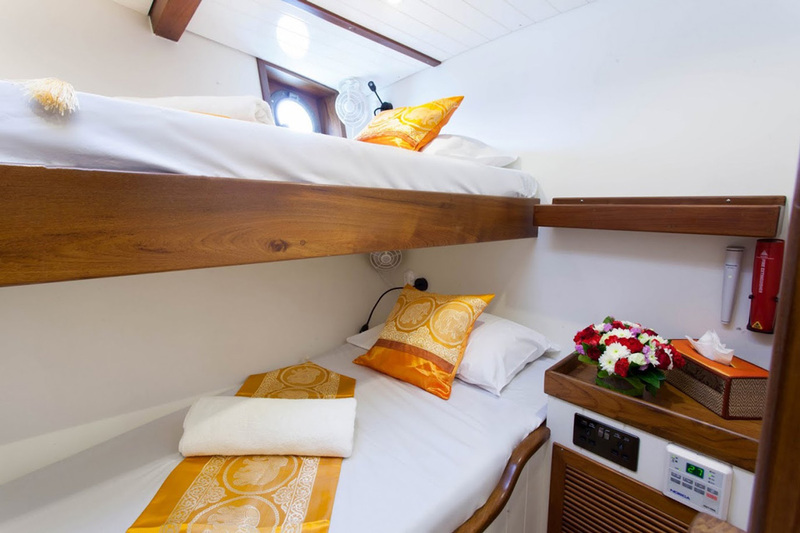 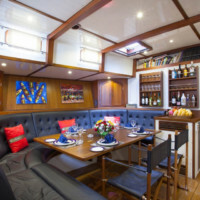 Dallinghoo guest accommodation includes a master stateroom aft with a double berth, a seating area, and storage space; a VIP stateroom amidships with a double bed; a double cabin forward portside; and a twin cabin forward with upper-and-lower bunks. 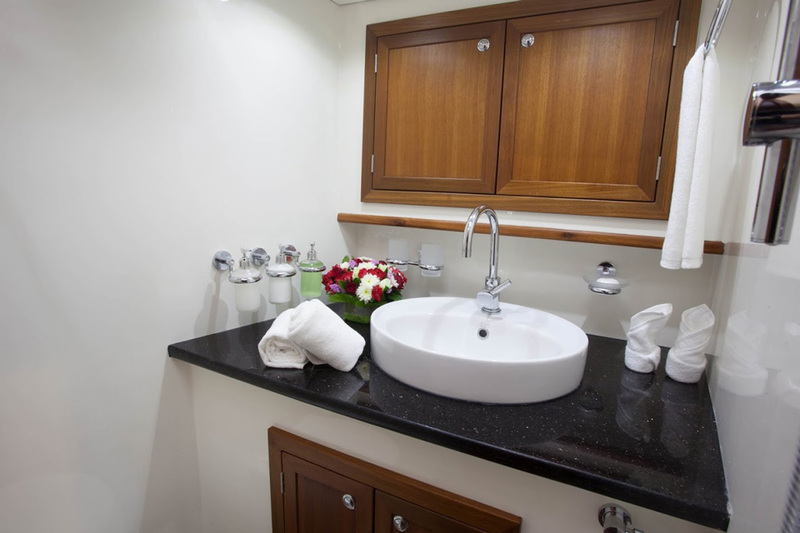 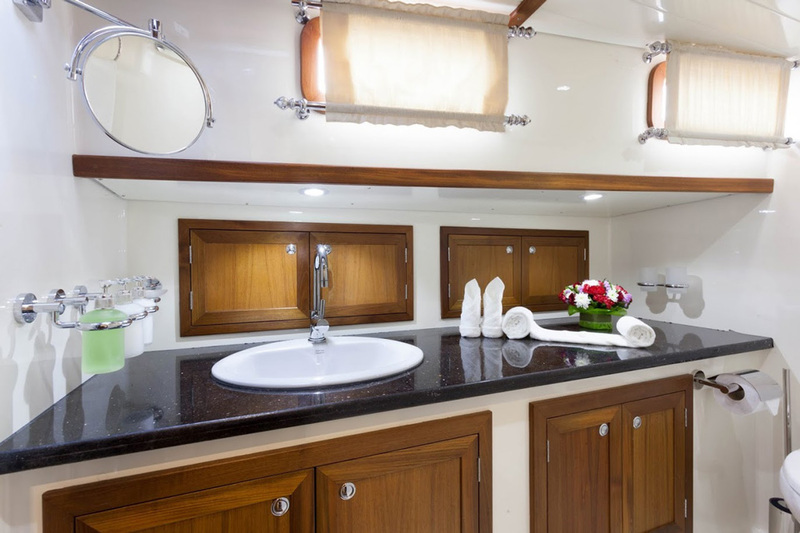 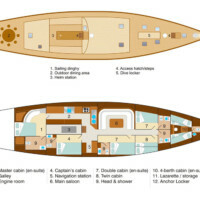 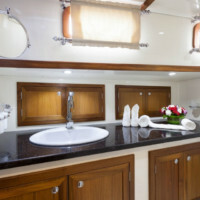 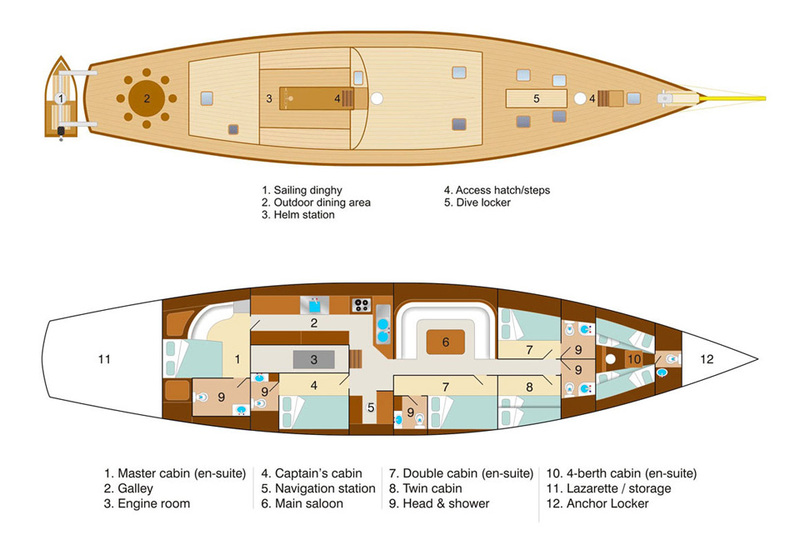 All cabins feature en-suite hand basins, toilets, and showers. 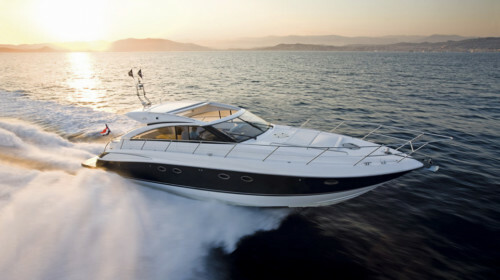 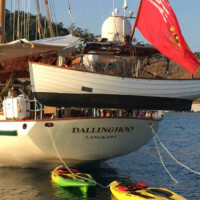 There is plenty of water toys to choose from when chartering Dallinghoo. 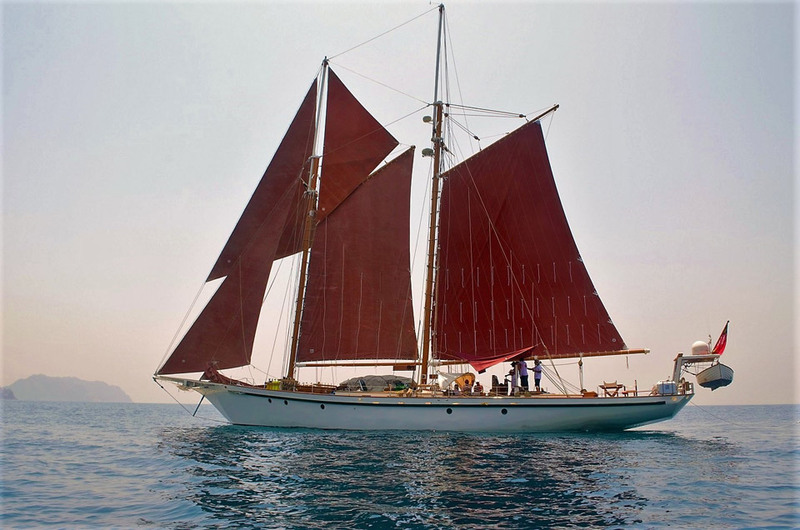 The yacht offers 2 tenders: a 3.9m RIB for general usage and a 12ft classic gaff-rigged sailing dinghy, the guests’ all-time favourite. 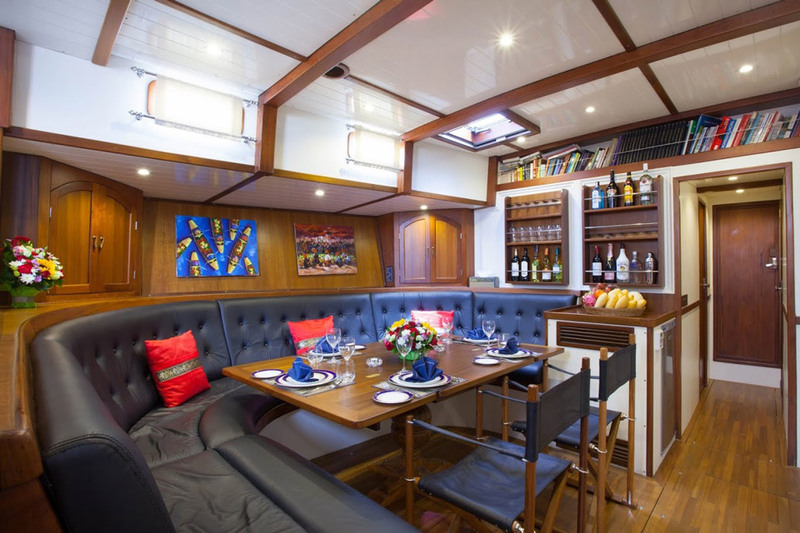 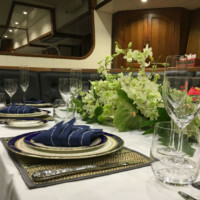 There are also kayaks, paddle boards, fishing equipment, 2 diving compressors together with 8 sets of scuba equipment on board this fantastic vessel. 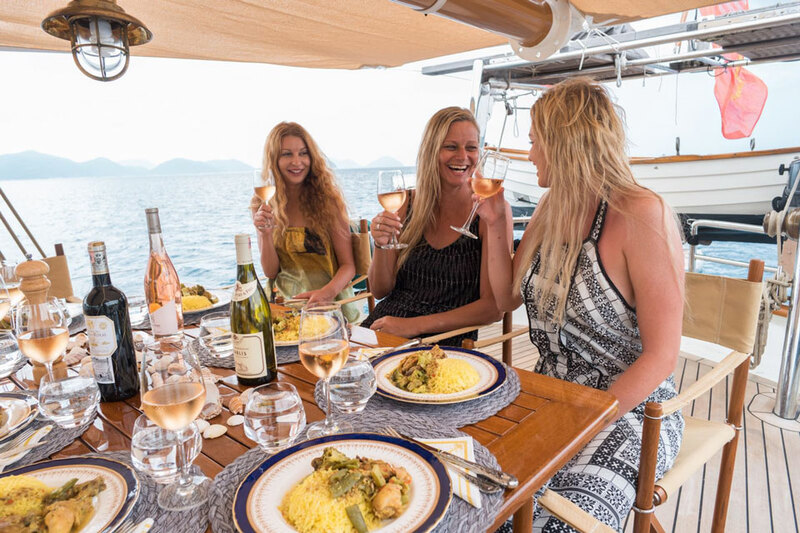 Alfresco dining is the best way to relax after a day full of activities. 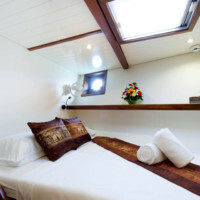 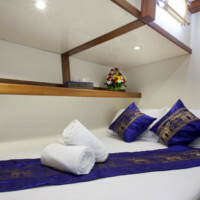 Dallinghoo’s spacious upper deck is the perfect place to sit back and watch the sunset under the warm tropical breeze. 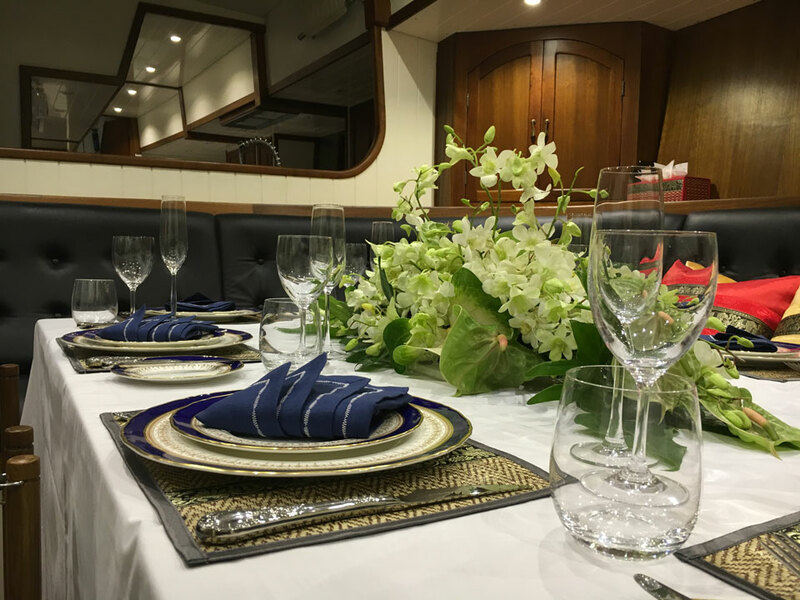 The menu prepared by the Thai chef has received the multiple rave reviews. 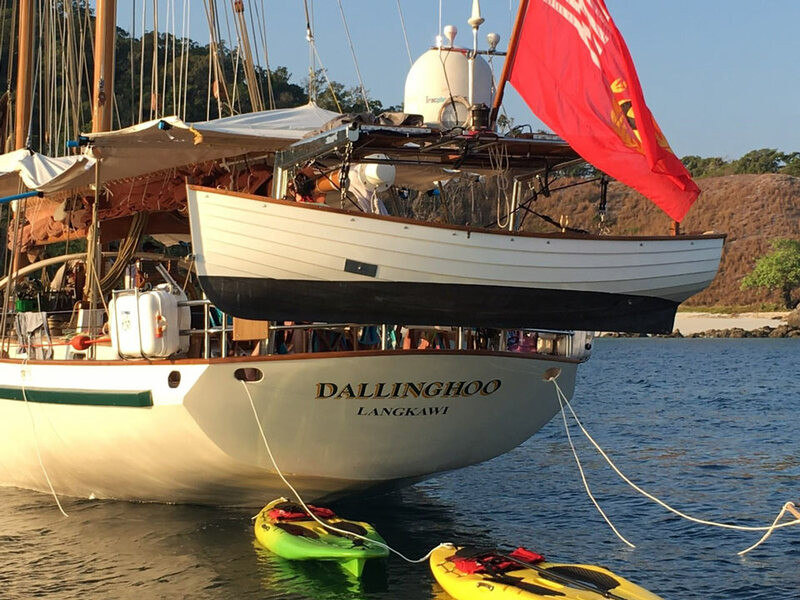 In fact, the whole crew team of Dallinghoo is very friendly and highly professional, happy to welcome you on board for a memorable sailing holiday of a lifetime! 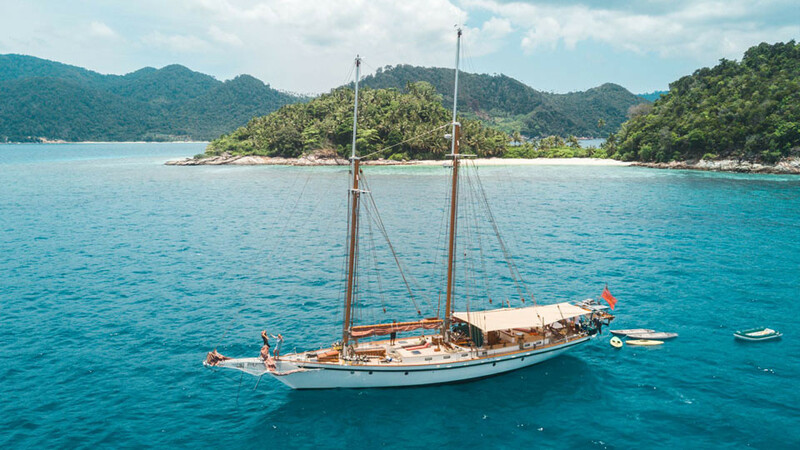 Contact Boat in the Bay to inquire about Dallinghoo Sailing Yacht Charter Phuket or Langkawi (Malaysia) and onto Burma (Myanmar) and around Mergui Archipelago in the winter season. 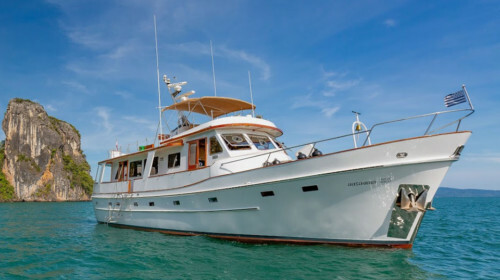 And in the summer months, Dallinghoo will take you around the South China Sea to the East Coast of Malaysia, Borneo (Philippines), and beyond. 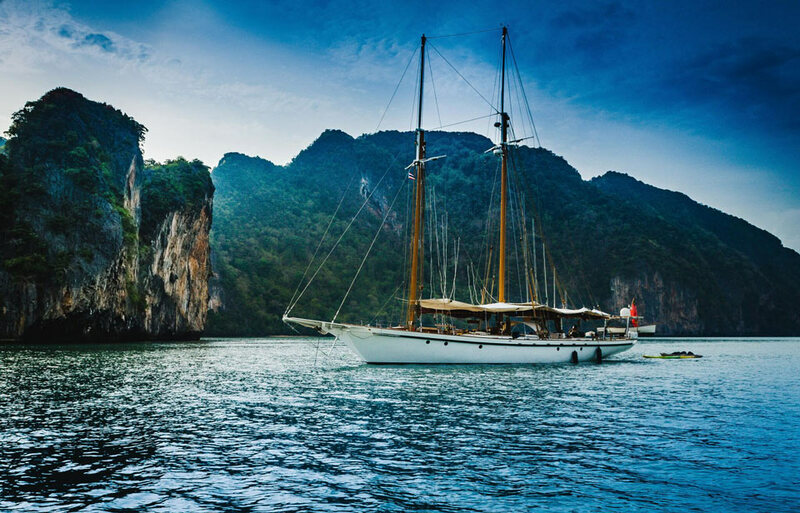 The price excludes alcohol, all arrival/departure land transfers, port fees and visitor fees, visa fee if applicable, services of a dive instructor, crew gratuities. 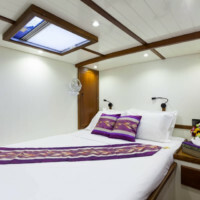 Advance Provisioning Allowance (APA) to cover possible extra expenditures in the amount of 10% of the total charter fee is collected 30 days before departure.